Animal and plant species are vanishing at an accelerating pace around the world—sometimes even before we know that they exist—but conservationists are pushing back against the juggernaut of mass extinction. From captive breeding to satellite tracking; restoring habitats to removing predators; shaming multinationals to nursing baby pandas and orangutans—in all these ways, scientists and others have given a second chance to creatures under threat. Take the Mauritius kestrel, a svelte and dappled falcon reduced to a population of just four, including one breeding female, in 1974 by a perfect storm of human meddling. The keen-eyed predator lost much of its natural habitat when settlers clear-cut the Indian Ocean island's forests in the 18th century. What pushed the bird to the brink, however, was the widespread use of the pesticide DDT in the 1950s, as well as invasive species such as cats, mongooses and crab-eating macaques with a taste for the birds and their eggs. But a combination of captive breeding, food supplements, nest improvements and predator control has increased the bird's numbers to about 400, making it one of the most successful bird restoration projects in history. 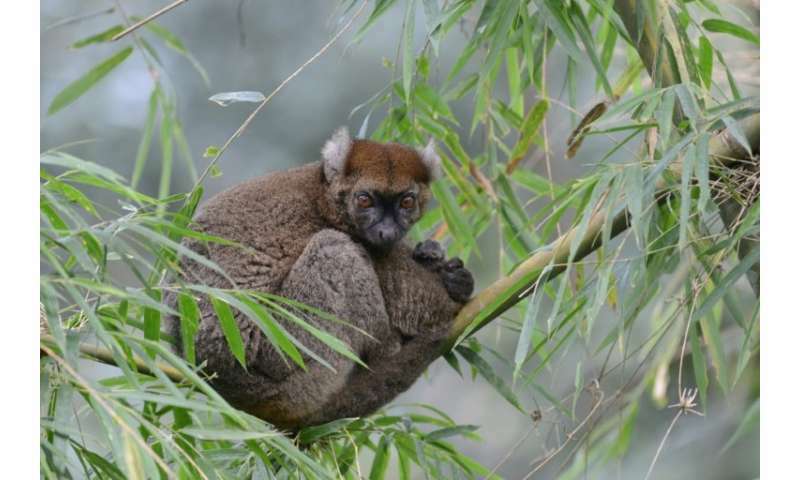 On nearby Madagascar, the greater bamboo lemur—aka the broad-nosed gentle lemur—has also made a fairy-tale comeback. Long thought to be extinct, the dark-furred primate—which has tufted, white-tinged ears—was "rediscovered" in 1986 in the island nation's southeastern Ranomafana region. True to its name, the lemur is a "bamboo specialist" that feasts almost exclusively on a single species of the fibrous, quick-growing plant. Scientists are still trying to figure out how the brown-eyed tree-dweller metabolises the quantities of cyanide—enough to kill a human adult—found in a day's diet of bamboo shoots. Unfortunately the lemur is still hanging by a "critically endangered" thread, isolated in four percent of its historic range. But the creation of a national park around the area where it was found has boosted its chances of survival. Across the board, biodiversity is declining. To date, the International Union for the Conservation of Nature (IUCN) has evaluated nearly 80,000 animals and plants, cataloguing their conservation status on its famous Red List of endangered species. Some 23,000—nearly a third—are threatened with extinction, including 41 percent of amphibians, 34 percent of conifers, 33 percent of reef building corals, 25 percent of mammals, and 13 percent of birds. "The sixth mass extinction is happening now," Craig Hilton-Taylor, head of the Red List, told AFP ahead of the International Day for Biological Diversity on May 22. "But these conservation achievements highlight that there is still reason to be hopeful for the future of our planet, and that conservation does work." It certainly helped keep the Ethiopian wolf from suffering the same fate, for example, as the Tasmanian tiger. Canis simensis is Africa's most endangered carnivore, and probably the most endangered canid—a family that includes dogs, wolves, jackals, foxes and coyotes—in the world. 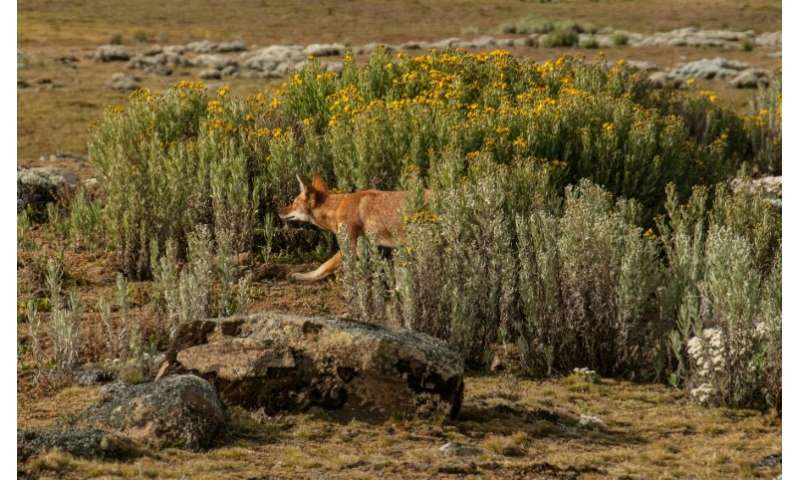 This elusive hunter lives only in the highlands of Ethiopia, notably in the Bale Mountains, where 200 individuals are monitored 24/7 by the Ethiopian Wolf Conservation Programme. Disease that spread from domestic dogs has wiped out nearly a third of the wolf's population in recent years, but conservation efforts have secured its habitat and raised awareness among local peoples. For now, the mountains still ring with its howl.